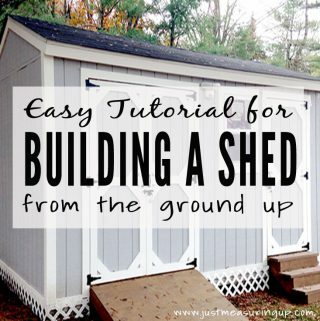 ​I’m not exaggerating when I say that Ash and I spend most of our spare time on our home projects. We always are talking about what is next on the list or what we can get done in the windows of time we have while our son is sleeping. My mom jokes that little elves come and work at night because she can’t believe all of the things we get done. 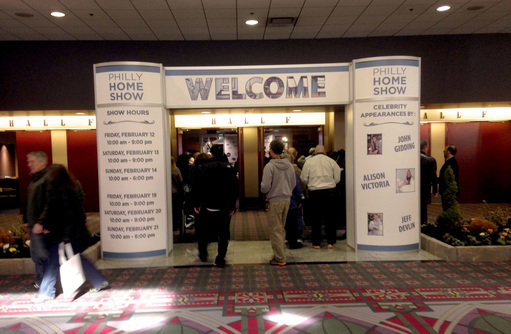 However, last month Ash and I had the rare opportunity to attend the Philly Home Show. It was a nice change of pace from our usual weekends of crossing as much as we can off our to-do list, and it provided us with some nice inspiration for summer projects. 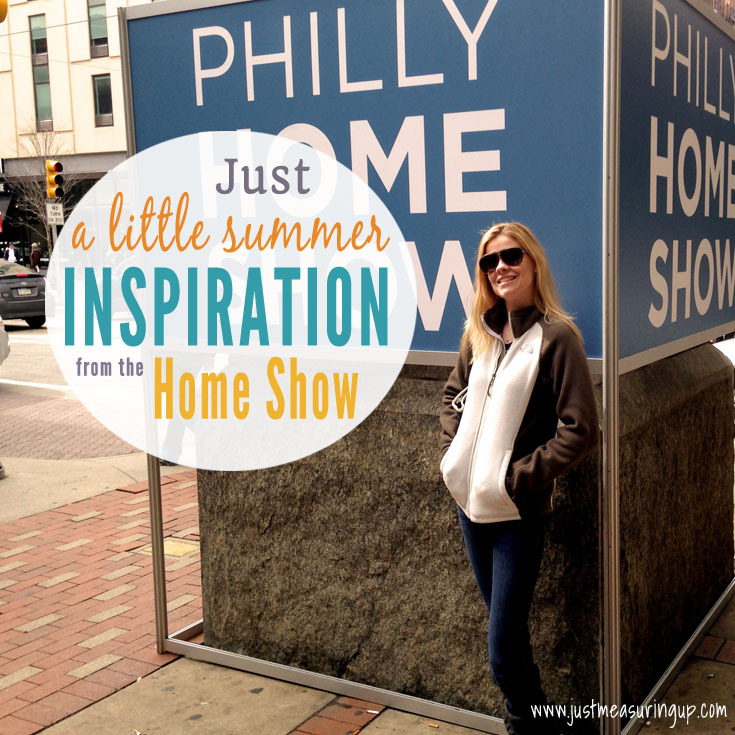 We enjoyed walking through the show, but our dream list has definitely grown! 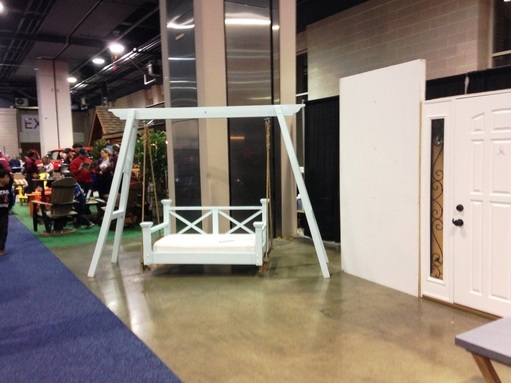 From planter boxes to infrared saunas to contests and freebies, we definitely had a fun day. 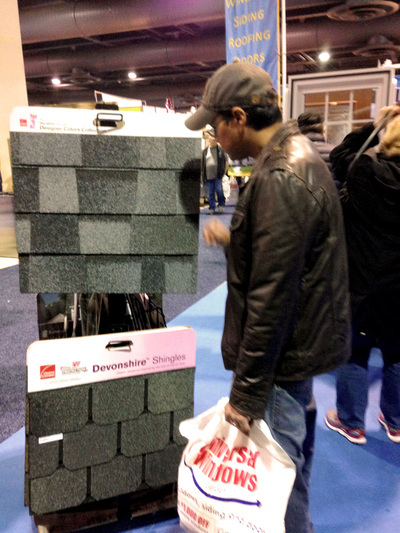 Below Ash is looking at shingles, reminiscing over the roof work he did on the shed – he really enjoyed that part of the project. And, I’m about to step into an infrared sauna. I LOVED with it. It is, for sure, going on my dream list! Apparently infrared saunas provide a lot of healing benefits too. 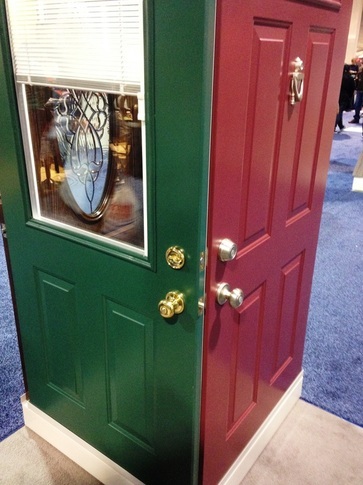 I just love a brightly colored door, but the challenging part is choosing a color that works with the home’s exterior. Yet, I don’t know if a vibrant door would work with our home’s color palette. I have to keep thinking on that one – but I loved these colors! 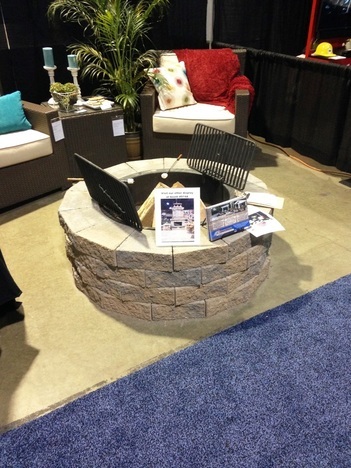 One of the highlights of the show was looking at the outdoor setups, like this one centered around a stone fire pit. Maybe one day we’ll incorporate an area like this into our backyard. 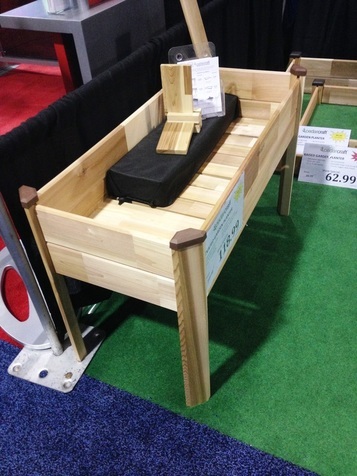 We came across these gardening planters of various shapes and sizes, which align perfectly with my goal to have a garden this summer. We’ve been eating a lot healthier and opting for organic, and it gets expensive! Having a garden will give us easier, cheaper access to healthy foods, and it will be a good summer project for my son and me. I’m sure Ash will build me an awesome structure. Along the way, we entered some contests (we’re hoping to win the tractor!) 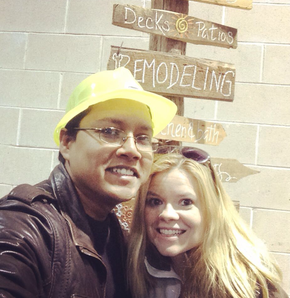 and picked up some fun freebies – like this plastic hard hat that Ash is posing with here. All in all, we enjoyed the day and the new inspirations.